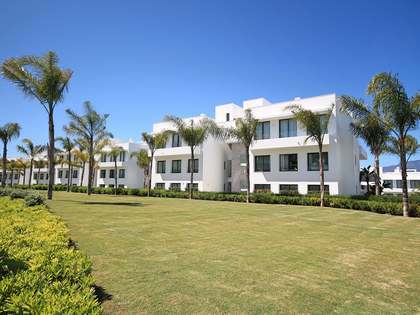 This property is part of the Boutique Golf Apartments. 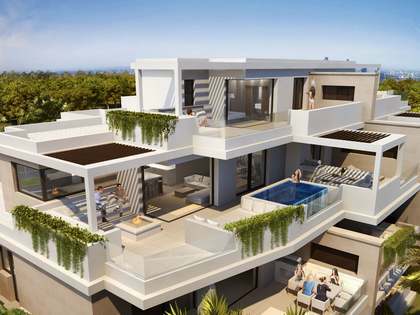 A stunning new development of boutique apartments for sale in Estepona's New Golden Mile. 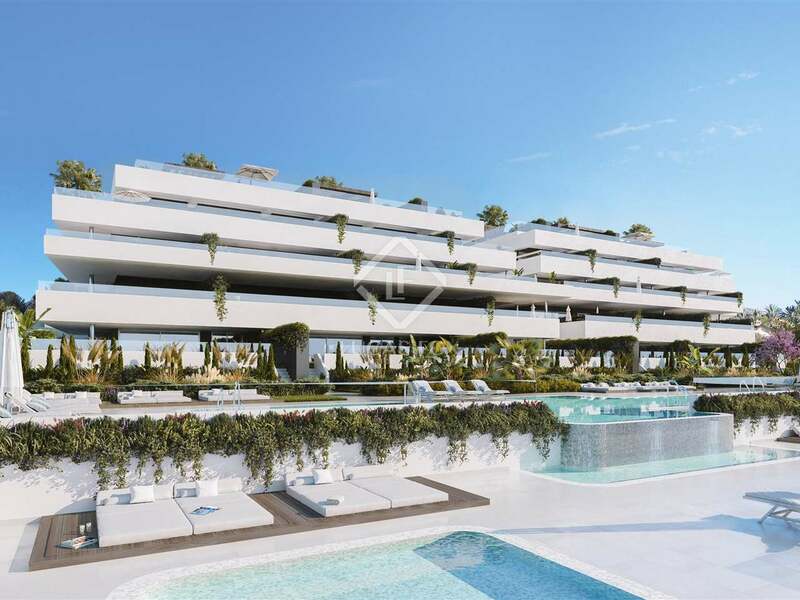 Luxury apartment for sale as part of a brand-new development in Estepona's New Golden Mile. This exceptional luxury apartment offers an exciting lifestyle investment opportunity in Estepona's New Golden Mile. 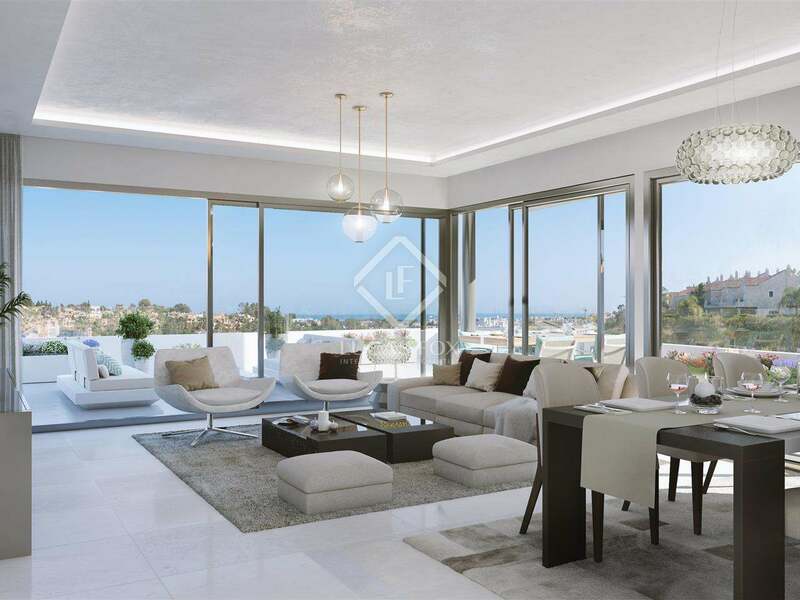 Combining modernity, elegance and comfort, the apartment is equipped with top of the range appliances and flooring whilst the exclusive Gunni y Trentino kitchen and bathroom can be chosen by the buyer to ensure that the owner's needs and requirements are fully met. 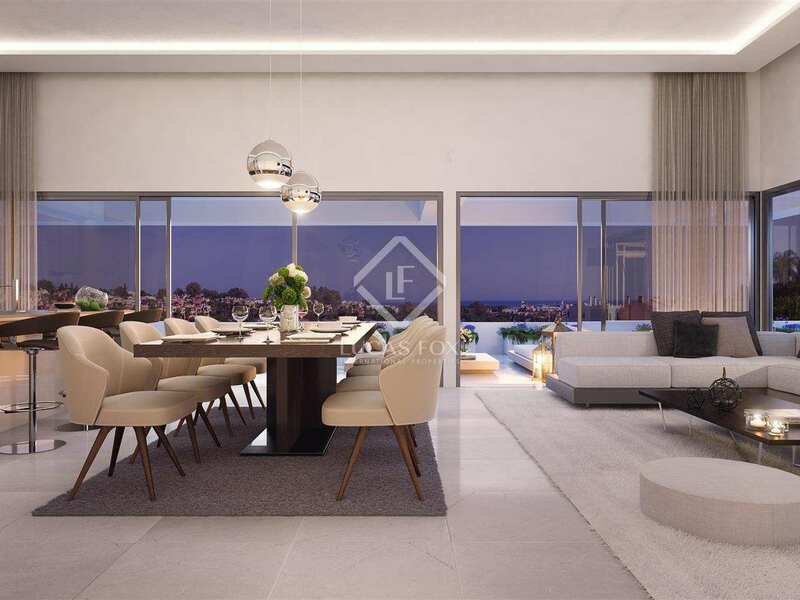 This apartment stands out for its generous, open spaces and south-south east orientation which allows abundant natural light to fill the property throughout the day. 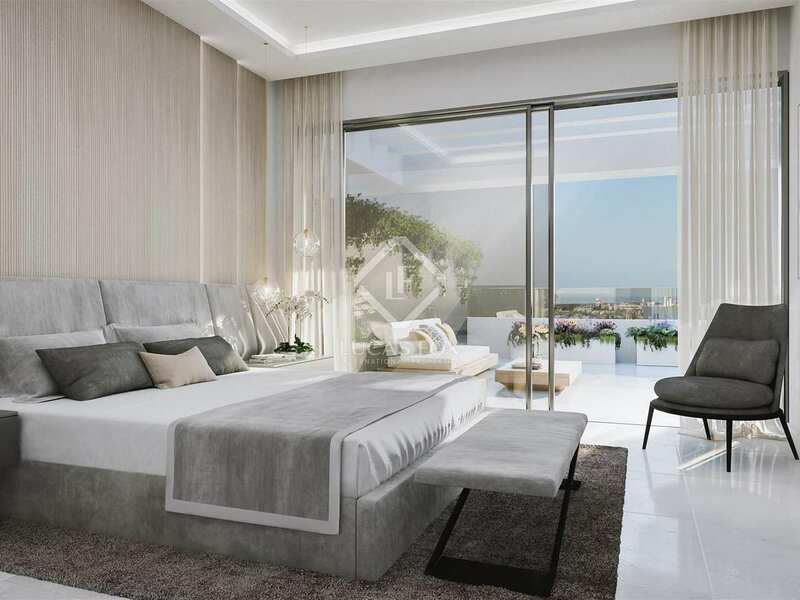 On entering the apartment, 2 of the bedrooms lie to the right of the entrance whilst the third bedroom, with a dressing room, lies straight ahead. 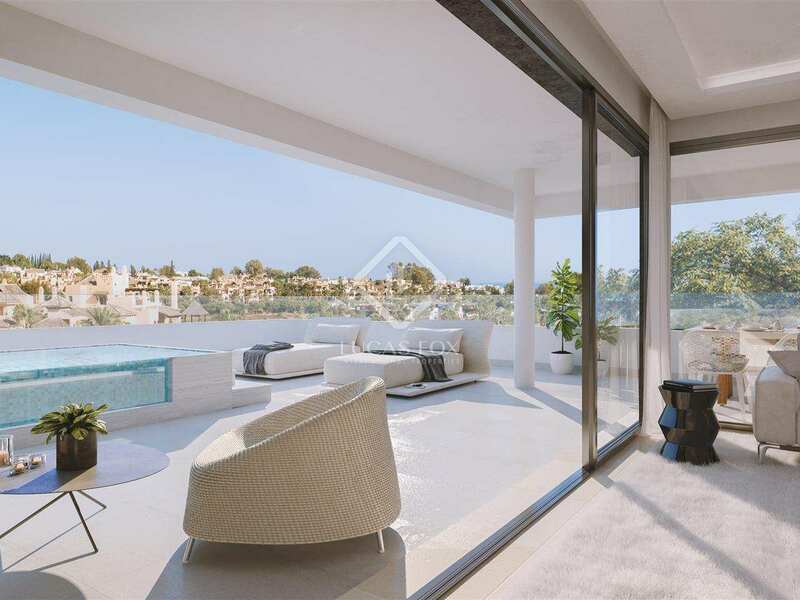 The living-dining area with open kitchen is particularly spacious and has access to the extensive terrace with environmentally friendly private swimming pool or a Jacuzzi. 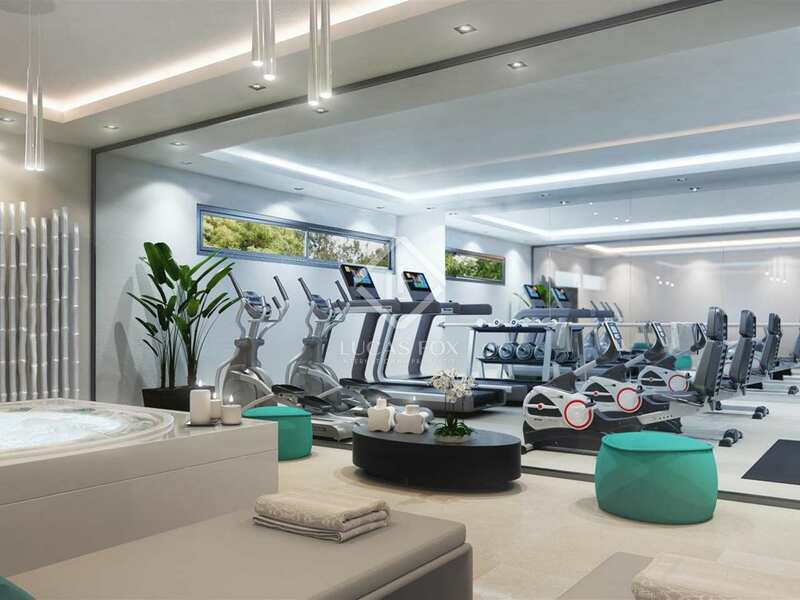 The development within which the apartment is located offers excellent amenities including a large communal pool, children's pool, a gym with a spa and Turkish baths, pressure shower and a relaxation area with infrared lighting. 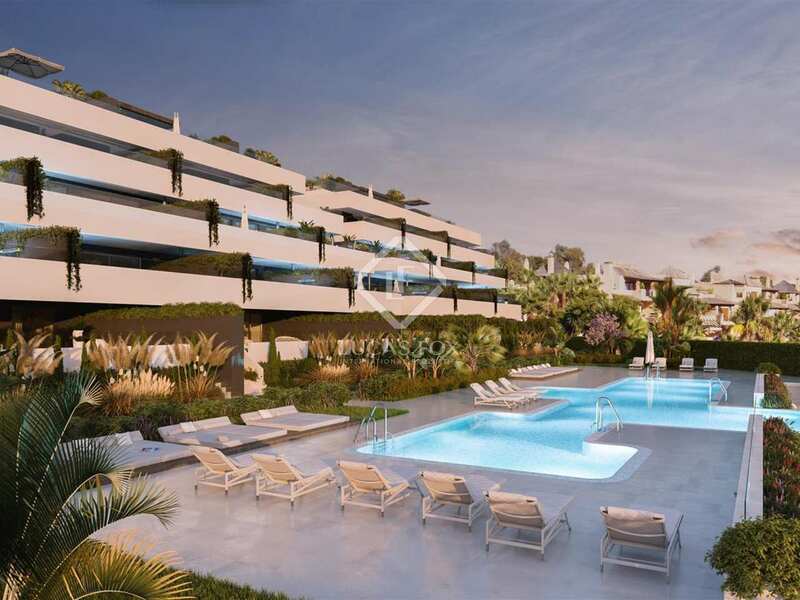 Located in walking distance to all amenities, as well as the excellent golf courses of the Golden Mile and just 5 minutes from Puerto Banús, the apartment would bring an attractive rental yield. 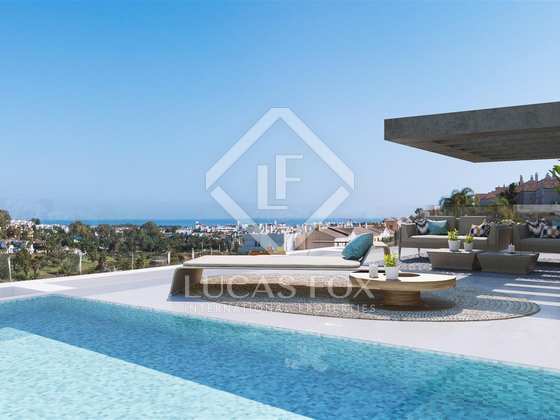 This apartment would also make a luxurious permanent home or holiday residence on the Costa del Sol. 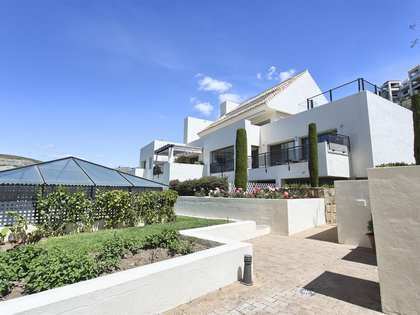 The images are indicative and not contractual. 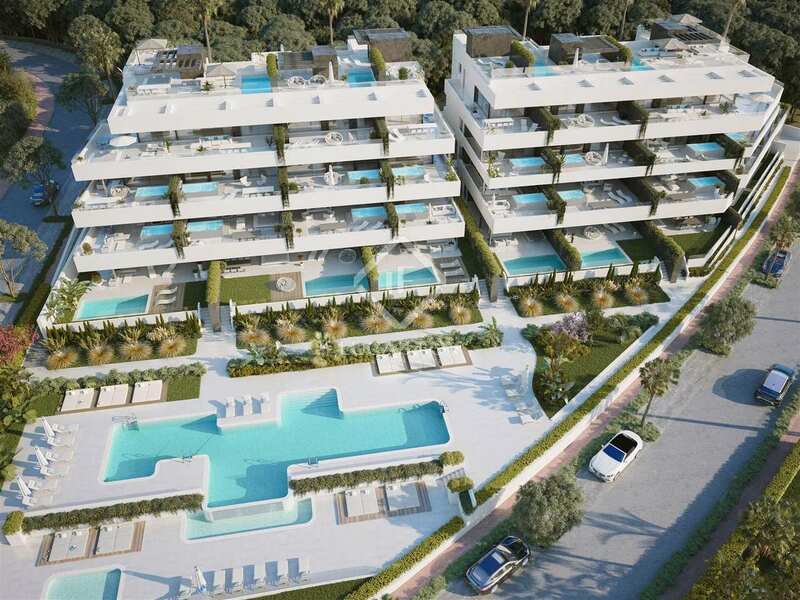 This development is within an exceptional urbanisation on Marbella's New Golden Mile, surrounded by golf courses. The urabanisation is surrounded by amenities and services and just 5 minutes from Puerto Banús on the beautiful Costa del Sol.